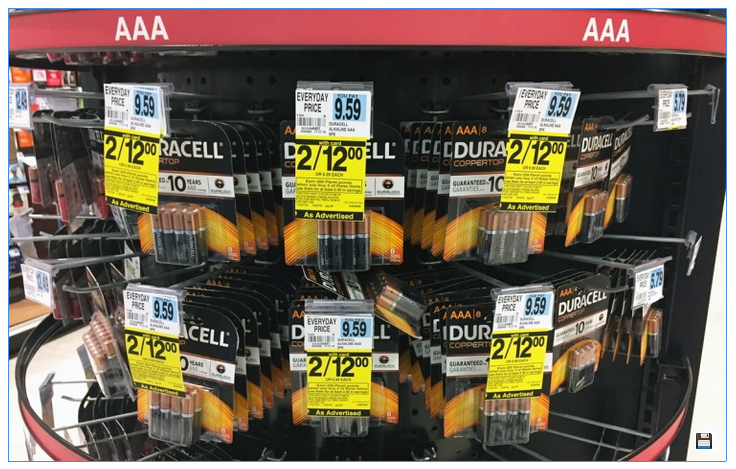 Score rare savings on batteries, and stock up for Christmas at Rite Aid! Duracell Coppertop and Quantum AA or AAA battery packs are on sale, two for $12.00 (regularly $9.59 each). Plus, receive 200 Plenti Points ($2.00) when you buy two. Pair a high-value $3.00 coupon with the sale, and pay $3.50 per pack. Total $9.00 plus receive 200 Plenti Points, making them only $7.00 or $3.50 each after coupon and points!